MGM Springfield on opening day in August. MGM Springfield at its South End Market entrance. 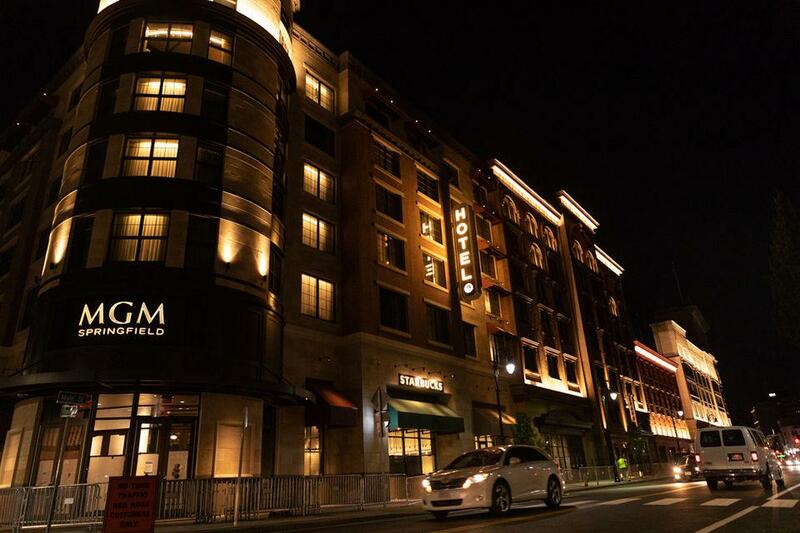 MGM Springfield on Main Street in Springfield, Massachusetts. The volume of people who have visited MGM Springfield since it opened three weeks ago has well exceeded the gaming company's estimates. But casino executives told Massachusetts gaming regulators Thursday they are running into an issue with minors on the gaming floor. Michael Mathis, president and COO of MGM Springfield, told the Massachusetts Gaming Commission that the resort casino is attracting about 50,000 visitors on weekend days and about 25,000 visitors on weekdays -- well above the company's estimate of between 15,000 and 20,000 guests per day. "We expect some of those numbers to normalize but there is no question that there is tremendous interest in our resort," Mathis said. "I think it's largely because of the nature of the resort, which is a very mixed-use, downtown, porous design." "We definitely still have some folks that are getting onto the floor that are underage. We're stopping them and we're trying to increase our communication around that," Mathis told the commission. "We've got some parents that are choosing to leave their children in different parts of the resort while they game and we've identified that issue, and it is a big problem for us, and it is a big problem for the experience." To combat the problem, Mathis said MGM has implemented a ban on unattended minors and considers anyone under the age of 16 to be an unattended minor. The casino has also put in place a curfew of midnight. After that time, only people 21 or older or MGM hotel guests will be allowed in the facility, he said. Seth Stratton, vice president and general counsel of MGM Springfield, said some underage gaming was intentional, but some was "inadvertent" due to a lack of "knowledge in the community with a new gaming facility around the 21 years of age." Commissioner Chairman Steven Crosby acknowledged that the commission had directed MGM to design a casino that would incorporate a wide array of non-gaming activities, and one that would be welcoming to people who do not want to gamble. He said the problem "is, in part, due to what we asked you to do." Mathis also detailed the casino's opening weekend for the commission. He said 150,000 people visited the property during its first three days of operations, with 65,000 of them visiting on opening day or night. The casino opened with a parade down Main Street, and Mathis said people lined up in the wee hours of the morning in anticipation. "We definitely had some lines and we had some folks that we actually had to send away Friday at about 2 a.m. It was a bit surreal," he said. "We had about three, four thousand folks lined up on Main Street at 2-2:30 a.m., bumper-to-bumper traffic, and it felt like we were out in Times Square." 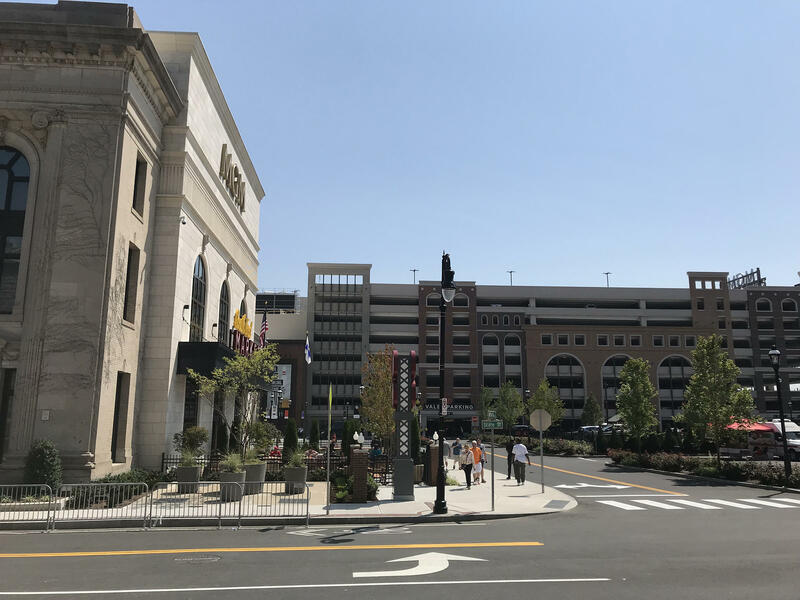 The retail section of the casino, especially its South End Market, has surpassed its visitor estimates by two or three times. MGM was expecting 1,800 people per day, and Mathis said it has already hit the 4,000-people mark. The casino president and COO said revenues for MGM Springfield have been strong for the first three weeks. A more detailed accounting of the casino's revenues for August -- and the first official indication of what a full-scale casino will mean for state coffers -- will be released by the Gaming Commission on Monday.